Ed and Cathy Gillespie have traveled across the Commonwealth — from the Eastern Shore to the Cumberland Gap, from the suburbs of Northern Virginia to Southern Virginia. Ed loves the sprawling hills and beautiful countrysides of Southwest Virginia. This region has an appeal that cannot be rivaled. Yet, with all its natural beauty and assets, Southwest Virginia is in dire need of economic growth. According to a recent GO Virginia report, one in four people said they might have to move to get a job. As the Roanoke Times explained, “One theme runs through this document: The declining population in Southwest Virginia complicates everything. This is no mere population decline; this is a full-fledged exodus, particularly of young adults who comprise the workforce of the future.” Those who live in this region know the struggles with lack of jobs, low wages, and economic stagnation. Ed has heard first-hand in the over 50 stops he has made throughout this region, from small business owners to parents, Sheriffs to those recovering from drug and alcohol abuse. If elected to serve the Commonwealth we love, Ed will be a governor for ALL Virginians, including Southwest Virginians. He will be a governor who does not make promises without substantive ideas to back them up. From implementing solutions to the opioid epidemic to spurring natural, organic job creation to increasing access to high-speed internet, Ed has proposed policies that will directly benefit everyone in Southwest Virginia. As a symbol of Ed’s commitment to the region, Ed will host his first Cabinet Retreat in Southwest Virginia at the University of Virginia’s College at Wise. This retreat will be held during the transition period, before taking office to ensure that every single member of Ed’s cabinet and senior staff will have spent time in the region before assuming office. We are at a critical juncture here in the Commonwealth — we are in trouble. If our next governor does not respond the challenges we face with a sense of urgency and the right policies, we will fail our fellow Virginians. Ed has that sense of urgency and the right policies, and he will not fail us. 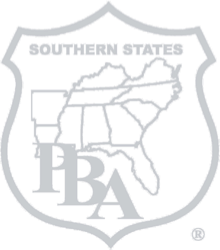 In Southwest Virginia, Agriculture and Forestry-related industries contributed over $2.8 billion in total output to the economy. Southwest Virginia is blessed with vast natural resources and fertile lands. Since the founding of Jamestown in 1607, Virginians have benefited from our bountiful resources to provide the most basic of necessities, food and shelter. And from our very founding, Virginia agricultural products have always been commercially desired throughout the world. Advance industrial hemp – a cash crop that can be found in a variety of products such as paper construction materials, food, personal care items, rope, canvas and nutritional supplements. 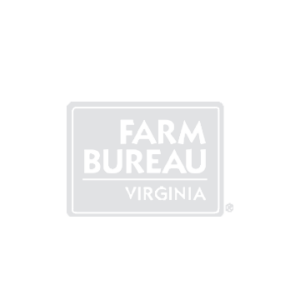 Ed will work with the federal government, General Assembly and licensing boards to explore industrial hemp production as an option for Virginia farmers. Support the Center for Rural Virginia and other economic development organizations who are helping with efforts from Lee County to Giles and to Carroll County. Increase agricultural exports to top international destinations like China and Canada. Expand agritourism activities, which contributed over $130 million in visitor spending in Southwest Virginia in 2015. In August, Ed released his “Energy to Power Families, Jobs and Investment Plan, which is an all-of the above approach to energy in Virginia. He has visited multiple coal mines in the area and toured numerous other facilities in Southwest. Reinstate the Coal Tax Credit, which he recognizes is an important part of ensuring Virginia’s coal industry is able to retain critical jobs and attract investment in Virginia, particularly Southwest Virginia. Support pump storage technology. Southwest Virginia is leading the way in establishing next generation energy solutions through the use of pumped storage. The region is establishing a regional revenue sharing plan and enhancing collaboration. Pumped storage could support the growth of clean energy and other technology industry growth in the region. Support the Atlantic Coast Pipeline (ACP) and Mountain Valley Pipeline (MVP), which will bring over 4,000 construction jobs to Franklin, Giles, Montgomery and Craig Counties and generate over $1.7 million in annual county ad valorem taxes. Repeal the McAuliffe-Northam Clean Power Plan on Virginia, which imposes job-killing regulations and stops businesses in Southwest Virginia from being able grow and thrive. 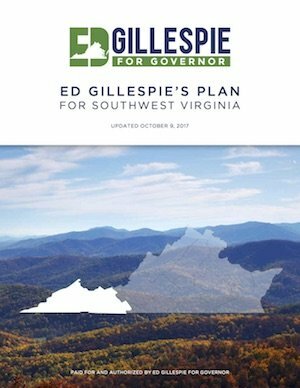 Ed has released his “Excellent Education for ALL Virginians” Plan as well as his Higher Education Plan for ALL Virginians. Affordability: Ed will work with UVA-Wise leaders to deploy resources aimed at programs and operations to enhance affordability for students. Part of the charge to UVA-Wise will be to develop a tuition restraint and fee reduction program to include student aid. Financial aid is especially important to the institutions’ long-term success. UVA-Wise is one of the most affordable institutions in the Commonwealth for low- income students. UVA-Wise provides some private support on top of existing financial aid programs which makes access available to many who otherwise could not afford to go to college. Financial aid is especially important to the institutions’ long-term success. UVA-Wise is one of the most affordable institutions in the Commonwealth for low-income students. UVA-Wise provides some private support on top of the Pell Grant program which makes access available to many who otherwise could not afford to go to college. Enrollment Growth: Ed would work with leaders to set long-term strategy to double the number of students enrolled at UVA-Wise by establishing graduate programs and public-private partnerships with graduate schools across Southwest Virginia. UVA-Wise’s six-year plan calls for education-focused masters degrees which will support local schools. There is also a need for graduate programs in cyber, software engineering, and other areas where they are building undergraduate capacity. Enrollment growth in strategic areas is key for regional success as well as continued focus on innovation and entrepreneurship. Last year, UVA-Wise received a grant last year to open the “Nest” which is a space for students and well as the community for start-up assistance. Along with other institutions, Create the Opportunity Capital Partnership through Curriculum Alignment, Regional Partnerships, Internships and Externships for Work Experience, and Retention in Virginia of both in-state and out-of-state students. Support the Republican General Assembly’s 10:10:10 policy that provides important funding for school divisions experiencing significant population decline. In addition, Ed will convene experts and innovators to advise the Governor and General Assembly on possible reforms to Virginia’s education financing system. Ed will establish a Task Force on Education Financing, and will involve all stakeholders — from those who fund our education system to those who manage and use it. Improve teacher compensation at our public elementary, middle and high schools in Southwest Virginia. Southwest Virginia is in dire need of economic growth — from more jobs to higher wages to better tax climate. According to the GO Virginia regional report, in the four quarters ending with the second quarter of 2016, employment declined 0.9%. Comparatively, employment grew by 0.9% in the state and 1.5% in the nation over the same period. When it comes to population, “projections in JobsEQ anticipate the region will contract an annual average 0.2% a year through 2027—a loss of 8,119 people.” We must end this net out migration. Host a ‘Red Carpet Tour’ of Southwest Virginia to attract economic development site selection consultants and companies to consider the region when making relocation, expansion, and investment decisions. Cut the individual income tax rate by 10% across the board. Introduce a two-for-one regulation policy, requiring agencies to repeal or modernize two regulations for every one created. Improve rural economic development. Ed’s economic development policies benefit all parts of our Commonwealth. Virginia must invest in sites, a rural policy, broadband, and workforce development. Grow Virginia’s site readiness efforts. Many economic projects are contingent on the availability of a site that meets their needs, and Virginia can and must do more to have a range of sites that are ready and able to meet the needs of growing businesses. Close the digital divide in our Commonwealth. For too long, broadband has been deemed a priority without measurable steps to accelerate its deployment. Ed will work with the Virginia Tobacco Region Revitalization Commission, GO Virginia Regional Councils, and the Federal Communications Commission to advance broadband deployment projects in Southwest Virginia. Add 50 new stream and water access points to further the outdoor economy in Virginia. Grow Virginia’ $21.9 billion outdoor industry — whose epicenter is in the Southwest Virginia region. In Southwest Virginia alone, Anthem recently stepped in to cover the following cities or counties due to there being no plan offered next year: Bristol City, Galax City, Norton City, Bland, Buchanan, Carroll, Grayson, Lee, Russell, Scott, Smyth, Tazewell, Washington, Wise and Wythe counties. And premiums are expected to rise 42 to 64 percent. Our next governor will face significant challenges in meeting Virginia’s healthcare and social service needs. Ed Gillespie will turn those challenges into opportunities for reform and improved health outcomes for Virginians. It is clear that we cannot count on Washington DC to solve our problems. Southwest Virginians know all too well the terrible effects our current opioid epidemic has on families across the Commonwealth. The overdose statistics are staggering — over 50 deaths in this region from opioid abuse alone — and even more heartbreaking are the stories that Ed has heard on his numerous visits to Southwest Virginia of sons and daughters, brothers and sisters falling prey to these drugs. Ed will work every day to prevent addiction, provide intervention and welcome those seeking recovery with open arms. Addiction is a disease, not a moral failing. Increase education in schools and working with the Board of Medicine, Board of Pharmacy and relevant stakeholders to continue to deploy best practices regarding the prescription of opioids. Expand same day services for recovery from substance use disorders and co-occurring related disorders. Virginia should strive for same day admission to recovery residence, medication assisted detox, admission to inpatient or outpatient treatment. Build from Delegate Todd Pillion’s legislation, Ed would work with medical schools to expand and strengthen curriculum for the treatment of pain. Keeping our communities safe is a top priority of government. Virginians must feel safe in their homes, businesses, schools, and on our roads and highways. Protect “599 Funding” to ensure the cities, counties and towns from Bristol to Lee to Wytheville to all receive necessary and predictable funding to keep Virginians safe from crime. Efficient transportation and infrastructure systems are essential to economic growth and quality of life. But our transportation system is aging. In fact, the Virginia Section of the American Society of Civil Engineers (ASCE) graded Virginia a C- on its Report Card for Virginia’s Infrastructure. Virginia’s rural roads have unacceptably high rates of deficiencies and fatalities. According to a report from TRIP, the national transportation research group, and related analysis from the Virginia Transportation Construction Alliance, “20 percent of Virginia’s rural roads are rated in poor condition – the 14th highest rate in the nation – and 24 percent are rated in mediocre condition. Seven percent of Virginia’s rural bridges are rated as structurally deficient. The rate of traffic fatalities on Virginia’s non-Interstate, rural roads – 2.46 fatalities per 100 million vehicle miles of travel –is the 11th highest rate in the nation and nearly five times higher than the fatality rate on all other roads in the state.” Further, interstate 81 has been ignored for decades. The next governor must address the critical safety concerns facing residents up and down the critical but too often overlooked I-81 corridor. Launch ‘Initiative-81’ to partner with lawmakers, the private sector, adjoining states, the federal government and planning organizations to ensure that I-81 is made a priority. Along I-81, there are six metropolitan areas, and 30 higher education institutions. I-81 is critical for Virginia’s economic future. We need I-81 to be safe, reliable, and viable. Establish the Virginia Small Bridge Program, a strategic initiative to not only solicit public private partnerships to replace Virginia’s aging small bridges but to operate and maintain them for a specified period of time. This will ensure the effective and sustainable implementation of bridge replacement projects in the Commonwealth. Work to develop a second inland port to benefit rural Virginia. Create a rural infrastructure coordinating committee to prioritize and advance rural roads. Advocate for passenger rail from Roanoke to Bristol to increase ridership and tourism throughout the region. Advance the construction of the Coalfields Expressway. We cannot leave our Southwest Virginians behind and this infrastructure project will bring commerce and tourism to the heart of this region. Interstate along Rt. 58 to I-81: This project would improve access to Hampton and the Port of Virginia, and encourage a flow of goods between the Port and western Virginia, North Carolina and Tennessee. I-73, Finally: The I-73 project deserves another, closer look to evaluate its value for job creation and economic development. This project will make the movement of freight in and out of nearby regions more attainable. Part of the route is along U.S. 220 which is old and ineffective route for large truck movement, making it unattractive to business for location or expansion. This project deserves to be a serious part of Virginia’s next decade of construction. Virginia is home to nearly 800,000 veterans, meaning roughly 1 in 10 Virginians is a veteran. There are over 10,000 veterans in Southwest Virginia. Our nation is what it is today because of their service and sacrifice. We owe our active duty and former military, reservists, National Guard and their families our sincere gratitude, respect and support. Improve career opportunities for veterans looking to open and grow or join a business. Build partnerships to establish veterans legal and benefits clinics in Southwest Virginia. Virginia needs a governor who will be a strong advocate for our Commonwealth. Ed will be that strong advocate. He looks forward to working with the Trump Administration to bring economic growth to Southwest Virginia. He will also oppose any measures that will hurt this region and will work tirelessly to ensure that all Southwest Virginians have a shot at the American dream. Restore Money for Appalachian Regional Commission: The Appalachian Regional Commission is crucial to increasing commerce and trade in this important area of the United States. Ed will work on behalf of Virginians to restore funding for this program. End the Clean Power Plan in Virginia: As governor, Ed will advocate on behalf of Virginia to end the implementation of the Clean Power Plan in Virginia. The Trump administration provided strong leadership in this regard on the federal level and Ed looks forward to working with them to continue to do so. Lt. Governor Ralph Northam would establish a Clean Power Plan in VIrginia – further driving up costs and killing jobs.